25 days till Christmas. Are you prepared? I'm not talking about whether or not you've put up the tree, strung lights around the house or decorated. Perhaps you are in the 'busy'ness of the pre-season. Shopping. Addressing Christmas cards. Baking cookies. Making sure each person on your list has that special gift from you. It's so easy to get caught up in all the planning we miss sight of the reason why we celebrate. It seems ironic but the times I've best prepared to celebrate Christmas occurred when my boys were quite young. We didn't have a lot of outside activities at the time so that helped some. 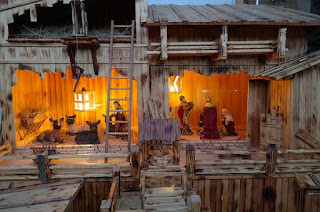 One of the things we did started the first Sunday in Advent. Each year I would purchase at our local Christian bookstore a new Christmas devotional we could go through together as a family. I made sure to pick one with crafts and activities appropriate for their age group. Each night after supper we spent time working through the book. While the activities were often simple, the scripture verses helped to prepare my heart (and my kids') for why we celebrate the holiday. Each verse pointed to Christ and why He came to this earth. The kids are long since gone, but I still feel the need to prepare my heart for the holiday. I want to participate in activities which remind me of Him. I desire to fine-tune my list so I have time to ask Him to show me how I can be more like Him. I pray I won't miss out on opportunities to bless others in the process. As I make special gifts may I be reminded to pray for each recipient. He is the reason why we celebrate. He is the reason why we prepare for the holiday. Prepare my heart, O Lord, so I might bless others this Christmas. Jodie Wolfe loves writing stories about feisty heroines and strong, godly heroes. The power of story to influence lives and change hearts is what motivates her to weave tales that tell of the Savior’s faithfulness. 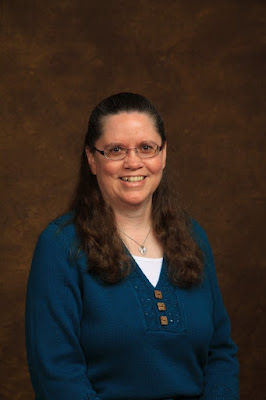 Jodie writes for Home School Enrichment magazine and had a devotion featured on Christian Devotions.